Our teachers work cooperatively to create a warm, inviting and friendly atmosphere for our families and other staff. Teachers work together to provide high quality educational experiences, with a personal touch. Our amazing staff work to provide a reliable environment, filled with predictable routines to help children throughout the day. Likewise, The Learning Pavilion is committed to teacher retention by providing a consistent and exciting work environment for our teachers. Each classroom is fully equipped with everything a teacher needs. Teachers are also given planning time each week to work on lesson plans, assessments, conference with parents and more. The Learning Pavilion participates with the T.E.A.C.H. scholarship program offered through the State of Florida. Staff are able to work toward college degrees, with paid time off for study time and assistance with the cost of classes and books. The Learning Pavilion also provides quarterly inservice training for all staff. 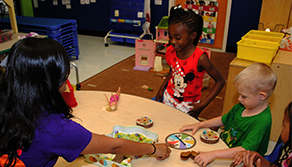 Topics include child development, behavior management, screening and assessment and so much more. Keeping our staff happy and healthy is also very important, which is why The Learning Pavilion offers a comprehensive employee benefits package, including Capital Health Plan, dental, vision, supplemental and life insurance, paid training, paid vacation and paid sick time. 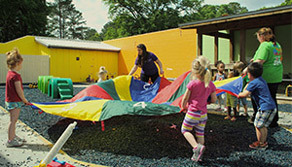 Staff with children also receive a discounted tuition rate that increases with years of employment. Is The Learning Pavilion the right place for you? We’re looking for energetic, bubbly and friendly staff who are bursting with a passion for early education and care. Someone who is open to exploring new and innovative theories and is committed to the success of our children and their families. If this sounds like you, give us a call. We look forward to hearing from you! 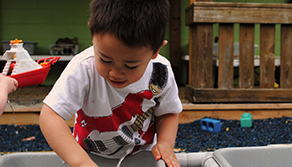 We are searching for energetic and experienced lead teacher for our preschool classroom. The ideal candidate has a passion for changing the lives of the children and making a lasting impact in the field of Early Childhood Education. Applications will be accepted through August 10, 2018.